Ever wonder what the most frequented websites are these days? 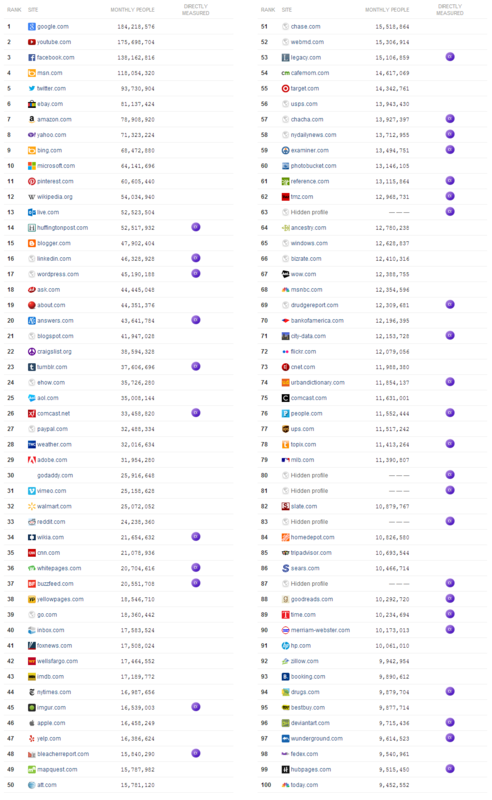 Click thumbnail to enlarge the most recent top 100 listing, according to Quantcast data, of websites ranked by the number of United States people that visit each site within the term of a month. Note: Here’s the top 100 most visited websites by mobile devices (smartphones and tablets).